What does the law state regarding a student who is in mainstream classes yet refuses to do any assignments? He just doesn’t care. The staff has made extra effort to “bend over backwards” to provide assistance, extra help, make additional copies of materials lost or discarded by the student. 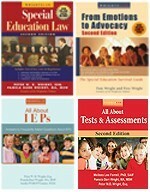 IEP accommodations have been addressed, FBA and BIP have been written, yet have not been successful. I am a high school special educator. We want to consider an alternative placement in an environment that would help teach the student responsibility, help improve self esteem, and get the student ready for the workplace at another school. The student and parents refuse. You say the staff have “bent over backwards” to help this student. Since these “bending over backward” strategies were not successful, the school (or some school staff) propose to remove the child from the current school and and place him in an alternative setting. Why do you think removing the kid from his current school placement and transferring him to an alternative school will be helpful? This student has a problem(s) that needs to be solved. You can’t solve his problems until you have info about what’s driving him. The behavior you describe may be due to many factors. You can’t develop strategies to deal with a problem until you know what is causing the problem. Has anyone completed a comprehensive psycho-educational evaluation of this student? When? What were the findings? If a comprehensive psycho-educational evaluation has not been completed recently, that’s the first step. Depending on the results of this evaluation, additional testing (personality, neuropsychological) may be needed before the school and parents can develop a plan. You may need to do a comprehensive file review, beginning in chronological order. Focus specifically on the psycho-educational test data. Are the student’s reading, writing, arithmetic, and spelling percentile rank scores gaining ground / improving, or is the child falling further and further behind his peer group? If the scores are getting worse, then expected behavior is usually fight or flight (i.e., withdraw, depression, self medicate via drugs/alcohol). The law says that a child is to be provided with FAPE, but so often no one takes a look to see if things, over time, are getting better or worse. Almost always, the test data shows that the child is falling further and further behind, thus those behaviors are expected and predictable. Blaming the kid, parents, or teachers is not useful. It will not solve the problem and will have a negative impact on the parent-school relationship. 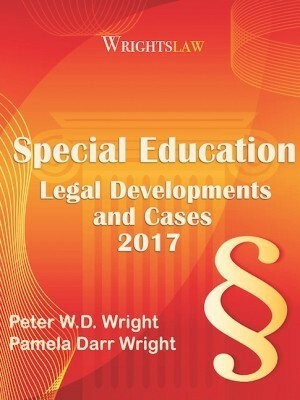 This entry was posted in Behavior / Discipline, Independent Evaluations, Placement, Strategies and tagged Alternative placement, Behavior, Comprehensive Psycho-Educational Evaluation, Discipline, FAPE by Wrightslaw. Bookmark the permalink. My daughter has been struggling emotionally and academically since she transitioned into high school She is currently in therapy and have requested the assistance from the school. The school has brushed me off and has provided little assistance or alternatives. I understand that part of the problem is my child’s unwillingness to do her homework. But as a parent, I know that the school should be offering perhaps a small class with less distractions. For example, I have complained to the school that my daughter was struggling in her English class because her teacher was absent and the substitute teachers did not teach. what can I request the school provide for my daughter due to assist with her emotional status? home school? smaller class? what are my rights? We are in a very difficult situation with our 15 old son with behaviors. Started seeing behaviors after his first restraint in kindergarten. It’s gone down hill since. After many ARD, due process, police being called to the school and handcuffed my son, the district recommended an alternate educational placement with a well known center that would be able to help him with regulating his behavior. As of yesterday, the center has decided to end the contract with district for my son. The district are now recommending residential placement. I’m baffled at their recommendation. My child is autistic and in mostly mainstream classes. He has recently been nice refusing to complete his work in his math class which is taught by his special education instructor. He refused to talk about it and the reason behind it. I am looking for suggestions to resolve this issue. Kyle the one thing I can think of is to request a meeting with his teacher. Hopefully she has noticed this change and maybe she may have an idea of what caused this change to happen. I would also sit him down and tell point blank that he needs to tell you what is going on so that you are able to help him. I hope this helps. I’m in a VERY bad situation. 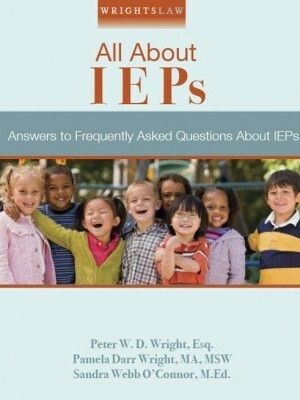 My son has IEP plan. His had 7 referrals. They all relate to him being dissruptive, making noises., doing immature things. One referral had nothing to do with behavior. The teacher did cold calling and because he refused to answer and participate in a science homework that she expressed was easy and it was to be a ‘ grade booster” she wrote up a referral for being defiant. Now the Principal has called a meeting to discuss Chronic Plan. He stated is School Policy on the 6th referral a chronic plan needs to be in place. Any referrals thereafter will result in moving him to alternative school. However his IEP has done any type intervention or exercise the BIP plan he has. The school feel as if they have. How can I verify his BIP is being used? This would depend on what state, & district rules say about the student code of conduct for a campus. Generally principals are given a lot of freedom in making these decisions. I suggest finding an adult who will listen to your concern, & questions, & try to help you communicate with the classroom teacher, & principal. I’m mainly wondering about homework, my son has an IEP and between getting class assignments completed and then doing the assigned homework he is ALWAYS behind or has missing papers resulting in bad grades, making him feel and look like a bad student when in fact he is tested he scores in the state guidelines. School hours is for school work and after school is family time, but family time in our home is spent in frustration on his side and mine and lasts most nights up to his bed time. I have talked with the school about this and even with the accommodations they gave him we are still in the same boat. Is drawing the line at no homework without the consequence of detention something I can do? This is what we are also going through. I homeschooled my son this year up until last week. Here we are trying to give JR high a try (6th grade) and the homework issues are already starting. He came home with four lengthy assignments tonight and 30 mins or reading. My son suffers from HIGH anxiety, PDD-NOS (some symptoms of aspbergers) and ADHD and excels at some subjects and is 3rd grade level for spelling, reading and writing because it’s such a huge anxiety trigger for him. He had had behavioral issues at school and right now he’s doing good. Do we want him to hate it and not do well there because of the work they send him home with. I end up walking him through all his homework. Basically doing it for him. What’s the point? And we do this for hours. Oh my goodness, this sounds all too familiar. I do hope you are able to get this figured out quickly. My daughter dropped out of school at the end of 9th grade because of these issues. The school pulled me in and told me her learning disabilities were too severe and there was nothing they could do for her. She ended up developing anxiety that turned into deep depression all because of school. As soon as we pulled her out of school, the depression subsided and she is a very happy child now. I wish you luck! This is a bit late for your 6th grader, but maybe it will give someone else some ideas. I have attended so many IEP meetings where parents express the same frustration. Schools will argue that they are making accommodations with extra time for the child to complete the homework assignments. Except there are still only 24 hours in a day and no matter how much time you give the child, eventually you run out of time, or worse, you discourage the child. I think one of the most effective accommodations is to set a time limit, for example, 30 minutes per homework assignment, and grade based on the work turned in ONLY, (not the whole assignment). This does rely on parent’s involvement to ensure the child is making the effort though. I’m in college with a science major and I still have have this problem with time to time … I’m actually doing it right now. For a class right now, the final is a presentation topic is 1) wide open, nonspecific BUT 2) just specific enough to cut out 7 topics that are interesting enough for me to start this project. I have spent two weeks trying to find a place to start and now parts of me are very frustrated and rebellious and I don’t think I’m going to get started at all now. I cannot seem to make myself move if I am not given a more specific task to carry out. It’s not a discipline issue, it’s an overwhelmed “I need help” or a form of autistic shutdown. When a child comes to school and is not doing the assignment you would think the teacher would notice he did have that subject book in front of him. If a child walked out of the classroom and is asked if he wanted to go back to class, his response is no he is told to go to the principals office which he did refuses to speak answer the questions he is non complience. Out of school suspension. The trust with the principal lost along time ago. No detentions no in school punishments just call the parents to come get him. I hope I don’t sound like a complete fool here, but did anybody ask the child why he wasn’t doing the work? I’m curious what his response would be. I had a lot of trouble getting one of my son’s schools to really see who he was, so I interviewed him. 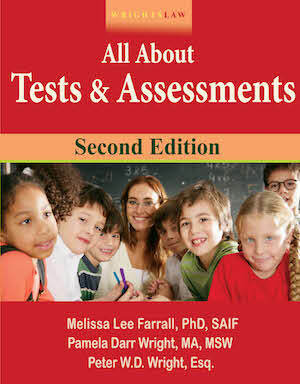 I used questions from Sandra Rief’s How To Reach and Teach Children with ADHD. There’s a learning style inventory in the book. I wrote down his answers unedited. He loved it. It made his personality (a side of him that was unknown to the school) shine through. His answers were creative, funny and helpful. I felt it gave my son a voice. I guess you could also audio record or video tape the interview as well. You, the parent and the school get helpful information and your child gets some attention and his feeling known in a fun unique way. What a great idea! Were the questions listed in the book for that purpose, or did you gather questions from throughout the book in order to create the interview? I’m curious about doing this both with my oldest, and with my students as needed. Thanks! My son refused to do homework all through grade school. Bottom line, he was spent by the end of the school day. He was honestly unable to do more after school hours. While it does “look” like a behavior problem and is quite frustrating for us parents there is an underlying cause for the refusal or better put inability. Ok my solution (besides going half bonkers all those years) being that our goal was a high school diploma, was to get all diagnostic testing done to see if we were missing some LD or difficulty, make sure I was completely familiar with his diagnosed disorders (Bipolar disorder and ADHD), AND that he went to summer school every year. One other very important help, a class called “study skills” was available. We scheduled it at the end of the school day every year. He did school/homework in this class. I think the school/teachers should also take a hard look at the content of the assignments: how often are they tedious, mind-numbing busywork that does nothing in terms of learning, and that is not geared toward a student’s abilities nor towards developing those skills. part of the issue was that the 3rd grade teacher didn’t want my son in her class (only 1 class per grade–but now she has an extra 5 students in addition to the 20 other raging maniacs). 1st grade was a disaster, 2nd grade was better. But ultimately we accepted an out of district placement (at local district expense) to a self contained class 20 min away. My son has NEVER been so happy as he is now. Is it the best class? I don’t know, but it is better than what he had before. Only 5 students. Individualized attention. His IEP actually being followed. Since the home school “took back” all his sensory tools (therapeutic listening, seat cushion, etc. ), they will have to pay to replace the items upon the new school’s OT orders. I did obtain help from an advocate who has been wonderful in battling with the child study team. Gina- Were you able to keep your child in school? My son’s school is doing the same thing. He has been diagnosed, twice!, with Asperger’s, yet the school does not believe it applies to my child. They say he is emotionally disturbed and want to send him to an alternative school. Before I drop another $4000 on an attorney, wanted to know how your case went. Parents have started advocating for their child. The school has brought in the police officer, although no threats or violence has ever happened between the parents and the school. The school has informed the parents that they are on longer allowed on campus and refuse to let them in. The child is autistic, which the district is refusing to admit to, although several evaluations state so. The child has walked off campus on several occasions and the school is threatening the parents over it. Can schools refuse to allow parents on the campus their special needs child attends with history of violence? For this exact problem, the “school psychologist’ has decided that my son’s passive ‘refusal’ to complete classwork (he has Asperger’s Syndrome) is willful & oppositional defiance. They claim exactly what the original post states. I was blindsided at his “annual review” meeting that “they collectively” have decided that my son requires an out of district placement into a “Behavioral Disturbance” class. A care manger from state children’s behavioral health services stated that he is NOTHING like his other clients that require a BD placement. The “school psychologist” insists that he MUST be emotionally disturbed as the school psychiatrist added “Adjustment Disorder with disturbance of emotion” to his diagnosis list (in addition to Aspergers/PDD NOS). My son cares. The “school psychologist” is his CST case manager & consistently unilateraly makes up his (most often ineffective) BIPs. She thinks he is attention seeking. Currently his BIP is pimarily punishment. Ex he doesn’t finish his writing journal (a KNOWN source of distress & dysfunction. His problem is both the physical act of writing & difficulty with written expression.) & he’ll have to miss part if recess, stay after school or more until it’s done. Yesterday they held him out of computer class & library time and the work still wasn’t done. He was so stressed through this 1 1/2 hr ordeal that he chewed the erasers off two pencils! He still isn’t done & they wanted him to stay after the next day. He didn’t want to go to school today. He has SPD, math LD & anxiety/Aspergers. The only test for writing done was WJIII. Help!!! Can you get him an advocate? We have a place here that does this for free. I may have to do this as well. When the kids move to Middle school they no longer have a resource room to go to when overwhelmed and the elementary schools here no longer have self contained classrooms. For my son, a new middle schooler, he is mainstream for all but one special class and the only other options they have are the classroom for the severely impaired children like low functioning autistic and downs. I just don’t get it. My son is also refusing to complete assignments. I have requested an alternative placement to work on the motivational issues and it was rejected. I have been told that he just needs to “put in more effort.” How exactly is that going to happen? Also, his grades have been inflated by his teachers to reflect what he gets once it eventually is turned in, but his IEP states that he should have regular grading standards (all other students receive failing grades for late assignments). What am I supposed to do? (On a side note, the school also agreed to a 1:1 aide and has avoided my questions on the topic all year. There have been more than 5 safety incidents including them losing him 3 times because he came home. I learned that the 1:1 aide is actually a 1:4 aide. I removed him from school until they comply). HELP! Elizabeth – First of all if your son is on an IEP the school cannot make a change of placement without your consent or his if he is of the age of majority. In our state (Ohio) we can request testing from an outside professional at public expense. What we do is request this in writing and we do not have to give a reason other than we do not agree with the school’s assessment. The school will give us a list of professionals that we can go to. We have NEVER gone to anyone on this list and do not have to. We instead get a referral from our child’s doctor, psychologist or we go to a place like the Cleveland Clinic neurological dept and get an outside assessment from them. The school must consider the results of the assessment. I find this entire question absolutely terrifying. My son has refused to do assignments and I’m afraid that the school will try and force him into a self-contained class where he will no longer be eligible to earn a high school diploma, but will instead get a certificate that will not help him to get a job and go into the US armed forces, let alone go to college. (This is New York State). On his last psychoeducational assessment, he was shown to have above average intelligence. If the school wants another one, of course I will comply, but this means time off from school for him and time off from work for him, which I can little afford. Overworked Department of Education personnel can do the testing, but I’m given to understand that we’d be better off going somewhere else, which usually costs hundreds of dollars. This is a tough situation. What about home schooling the rest of the year? Is that a possibility? Oh what about an alternative High school? We have had two of our sons graduate from an alternative high school and it was AMAZING! It eliminates almost all the homework issues (little to no homework) and the teachers were so amazing. They cared!!!! The principal is amazing there as well. The stigma used to be it was for burnouts and pregnant teens. Not the case. It’s for the kids who didn’t do well in their regular high school setting. Some kids were bullied, some struggled with homework, some needed a smaller school setting, some got into minor trouble at their old school but were trying to better themselves and graduate. you would be surprised how kids happiness comes back In that environment. Okay. So you do a file review and see that your child is falling behind in scores and behaviors are escalating year after year. What then? The school says they are doing everything they can and time marches on and my son is failing competencies. What is the next step? Yes! I am sorry the student is having these issues, but at the same time, relieved to see someone else has a kid that does this. My son has Aspergers and has not recieved a FAPE. the school administrations concentrate on getting rid of him (we are on our 3rd school dist.) instead of figuring out how to teach him. One teacher had it right: my son got almost a 98% on his work in science last year – this year he has a 50%. The teacher just whines about how he won’t do his work. When I took a look at what the assignments entailed, I could see that they would be very boring for him as a science buff and a kid with a high I.Q. Find a teacher who has had success with the kid and see what he did right and do more of that. 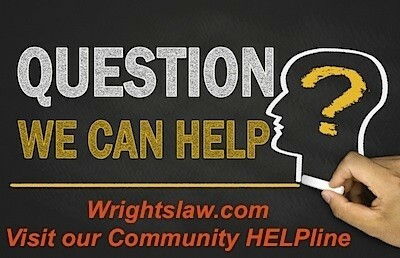 Barbara: All articles on the Wrightslaw site are printer-friendly. We don’t have the same control over articles on this blog because the blog uses software made by WordPress. We are looking for a solution, but haven’t found one yet. Workaround: You can easily select the text in a blog post and/or comment, then copy and paste the text into a document. Include the link (URL) so others can read the post. Why do you not have print friendly on the articles I am receiving from you. There is so much infor I do not need and a waste of paper and ink to want to take to school and share with my colleagues? Hopeful. We are having some of the same concerns with unmotivated students that refuse to do work in their mainstreamed classrooms. I’m the mom of a son who’s had an LD/ IEP for 12 years. 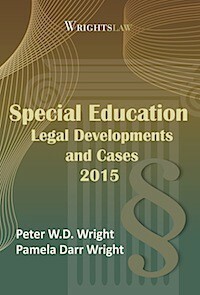 I’m also a researcher on cultural changes in SpEd. I’m looking for refs on how kids with LD do in mainstream inclusive settings when compared to kids with other diagnoses. And the converse: do kids with the label LD do better in other types of SpEd accommodation: public, private? My son attends a charter school in the twin cities. I have heard time after time that they dont have the staff or resources for my son. Even in the situation where he refuses to go to class somedays because he says he doesn’t understand it. Their response is to call me and pick him up and take him home. I’ve responded ” If he refuses to go to class he needs to sit here all day”… Can they come back and state they cant provide resources or staff? Dont they need to follow the Public School guidelines and provide what my son needs? Someone might be able to answer this better but I don’t think charter and private schools have to provide service. Charter schools are not covered under FAPE, chances are you signed your rights away when you enrolled your child, sorry. 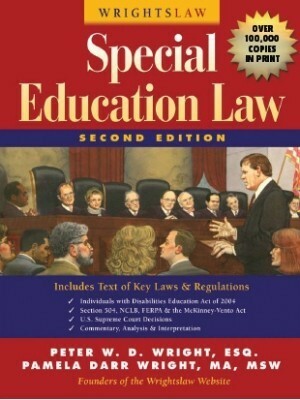 • The ** least restrictive environment provisions”” that require students with disabilities to be educated with students who are not disabled, to the maximum extent appropriate applies to public charter schools. 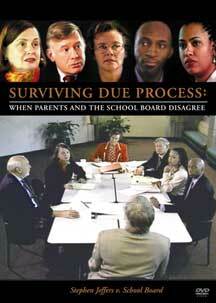 Both publications are excellent and will answer most questions about obligations of charter schools. 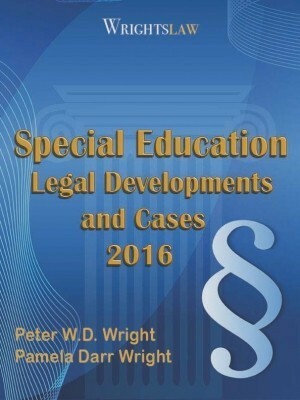 In December 2016, OCR and the Office of Special Education and Rehabilitative Services (OSERS) released joint Dear Colleague Letter and question and answer documents on the rights of students with disabilities in public charter schools under Section 504 and IDEA. DAWN-You are welome. You can do this. You are headed in the right direction. Make yourself the EXPERT on your son, his disability and the IDEA, No one has more to lose here than you…you are his BEST advocate. Read everything you can get your hands on regarding scientifically research based instruction, the IDEA and your son’s disability. Document back to the school EVERYTHING that is said and done in as business like way as possible, IN WRITING. SUSAN-thank you! I have been trying, for the past 2 CSE mtgs. to get them to address these issues. Unfortunately, my advocate has not been able to come with to either mtg. I am going to district today for a meeting to ask that very question (scientifically research based). Our IEE states he has a nonverbal learning disorder and math disorder. District says they must observe our son in his present school. I asked for a written report to be sent after observation is complete and they said there won’t be one (???) I then asked for another CSE meeting (waiting to hear). I feel things are a bit “above my head” as we are gravely concerned about these recent evals. 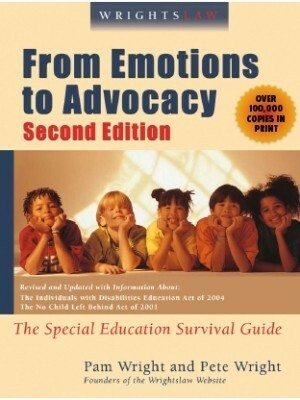 I do have the wrightslaw book from Emotions to Advocacy and have used it several times for letter writing, etc. However, I don’t feel we are getting anywhere at this point. DAWN-I would ask the school to put into writing that my son does not have to be on grade level because he is passing from grade to grade. IMO, passing from grade to grade means little. I see high school students all the time who are passing from grade to grade who cannot pass the high school exit exam, and/or can’t read. Don’t pass exit exam=Don’t graduate! As a parent I would be concerned that my kid might have “given up” because his disability had never been remediated adequately. A good question to ask: What type of scientifically research based remediation has been used in order to address his deficit areas? Something else that is troublesome to me, there is a huge discrepancy between his performance score and his verbal score, 50 points, I’m no psychologist but to me that seems like it might be statistically significant. Our son is experiencing a somewhat similar situation. We did have an IEE done and the district did a “watered down” eval. Both evals show he has regressed and is falling far behind. He is in 8th grade: reading comprehension 5.9 grade level; math late 3rd-early 4th grade level; verbal score 122 (93rd percentile) and performance score 72 (3rd percentile). Has had 504 since late 4th grade and changed to IEP in 5th. Trying to get him placed in an alternative school that we believe fits his needs. Have had 2 CSE meetings–to no avail. District says he does not need to be at grade level because his report grades are passing. Don’t know what to do next. You say he “doesn’t care”. My experience has been that when a child refuses, despite knowing it will cause him trouble, he does indeed care. However, he has experienced failure so often it is too painful to continue to try. He would rather refuse, and take the situation he knows, while seeming to have some control over the situation. The evaluations need to be complete enough to give you answers. I would suspect that remediation was stopped years ago and he does not have the basic skills to do the work. If his skills are at GRADE LEVEL, not just improved over what they used to be, then there is some issue still undiscovered. You will not be successful in helping this child improve until you understand the why. 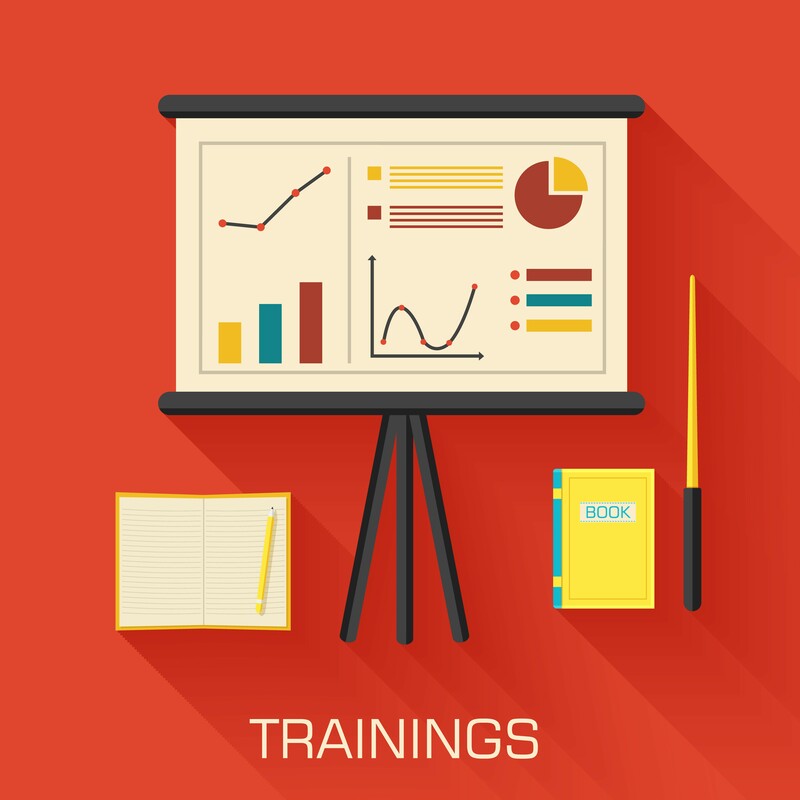 Remediation can continue throughout the high school years and be very successful in improving basic skills.